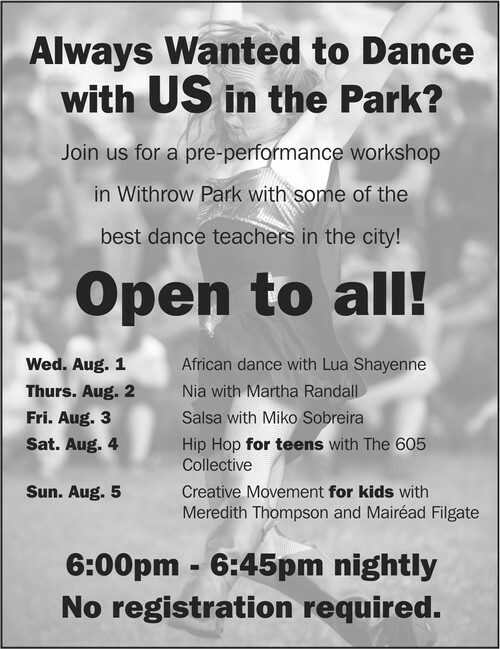 Withrow Park, our flagship event, has been the heart of Dusk Dances for 13 years, premiering bold and delightful dance works in Toronto’s Riverdale community. Performed by Gregory Charles and Steven Smith. A piece inspired by our fear of nightfall and darkness. A new kathak solo performed to live music. Featuring four rambunctious performers who jump, dive and collide to create a rough-and-tumble dance, transforming today’s hyper communication into a highly athletic contact sport. A traditional Malian dance paying homage to her childhood memories of living in Africa. Performed by Yvonne Ng and Robert Glumbek. Two of our shows have been interrupted by rain. We will present a matinee today at 2pm, as well as a show tonight at 7pm! Withrow Park is located south of the Danforth, between Logan and Carlaw. Closest subway station: Chester.